Mochlos is a small fishing village between Agios Nikolaos and Sitia. It is one of the few parts of the coast accessible in this region, but even then only after travelling over 6km of dirt roads. The easiest entrance is from Sfaka 30km from Sitia and 40km from Agios Nikolaos on the main road. 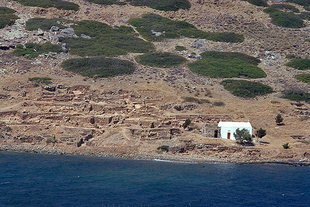 Mochlos has extensive Minoan remains.